Gwishin Bastion skin is the latest Storm Rising event skin. Storm Rising is the Overwatch Archives event for 2019. Overwatch Archives allows fans to experience lore and important missions in Overwatch's history. 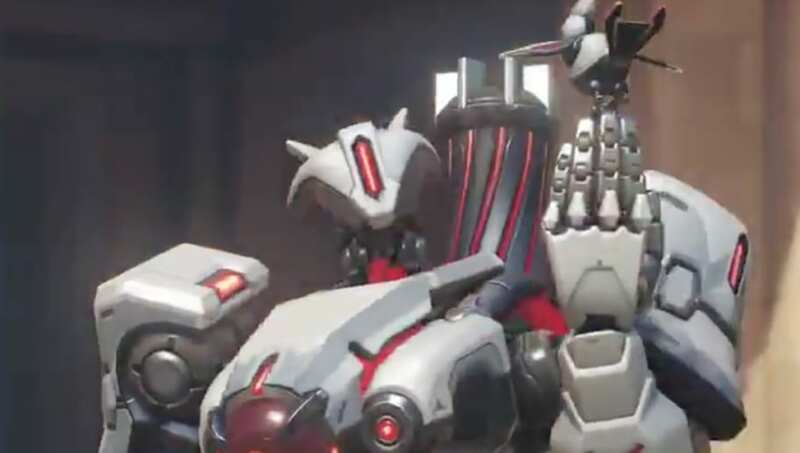 Bastion's new Gwishin skin makes makes it seven revealed by Blizzard for the upcoming Storm Rising Archives event. Clown Junkrat, Scientist Moira, Talon Baptiste, Deadlock McCree, High Roller Wrecking Ball, and Formal: 76 were previously revealed. The event seems to take place some time after the King’s Row mission. Reinhardt recently had something happen to him so he is sidelined. The mission will have Tracer leading with Mercy, Genji, and Winston as support. It looks like you will be hunting down Doomfist or his shell company in Havana, Cuba. The Overwatch event will be made available on April 16 through May 6.